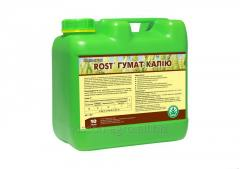 ROST® potassium Humate Liquid organic fertilizer; Fertilizer for sheet and root food; Growth factor; Antistressant; The Concentrated biological fertilizer. HELATIN® needles 50ml; Trace elements; Chelate fertilizer; Water-soluble fertilizer; Fertilizer for foliar feeding. HELATIN ® Bohr 50 ml; Microfertilizer; Growth factor; Minerals; Water-soluble fertilizer. ХЕЛАТИН ® ml Grapes 50; Microfertilizer; Minerals; Helatny fertilizer; Water-soluble fertilizer. HELATIN ® MultiMix 10 of l; Multicomponent microfertilizer; Growth factor; Minerals; Water-soluble fertilizer. Nbsp;ПЛАНТАТОР® 10. 54. 10; Complex mineral fertilizer. 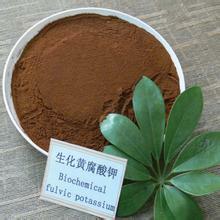 Water-soluble fertilizer. HELATIN® Berry 50ml; microfertilizer; Growth stimulant; Trace elements; Chelate fertilizer; Water-soluble fertilizer. ROST® - Lemon. Complex organo-mineral fertilizer. HELATIN® Tomato 50ml; microfertilizer; Trace elements; Chelate fertilizer; Water-soluble fertilizer. МАЙСТЕР® - AGRO, for grapes; Complex mineral fertilizer. Nbsp;ПЛАНТАТОР® 0.25.50.; Complex mineral fertilizer. Water-soluble fertilizer. 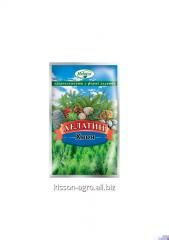 ХЕЛАТИН® Corn of 10 l; Multicomponent microfertilizer; Minerals; Helatny fertilizer, Water-soluble fertilizer; Fertilizer for corn. HELATIN® Potatoes 1,2l; microfertilizer; Growth stimulant; Trace elements; Chelate fertilizer; Water-soluble fertilizer; Fertilizer for foliar feeding. МАЙСТЕР® - Complex mineral fertilizer, AGRO for seedling. Complex mineral ПЛАНТАТОР® 5.15.45 fertilizer. Humate Universal. The volume of 4L. Organic fertilizer. Environmentally friendly.